Surface enhanced IR absorption (SEIRA) and Surface enhanced Raman scattering (SERS) of amino acids in protein (L-Tryptophan) drop coated on deposited silver nanoislands over monolayer of graphene on silicon were obtained using FTIR in reflectance mode and micro-Raman respectively. In this work, two dimensional Ag nanoislands were prepared on LPCVD-grown monolayer graphene on Si. Here we describe the enhanced interaction between light and silver nanoislands deposited on graphene as a tool for trace detection of molecular entities, especially in the area of bio-molecule detection and characterisation. This enhanced interaction is due to localised surface plasmons generated in silver nano islands that we fabricate by simple means of metal deposition on top of graphene. We have achieved femto molar detection limit of L-Tryptophan on monolayer graphene. 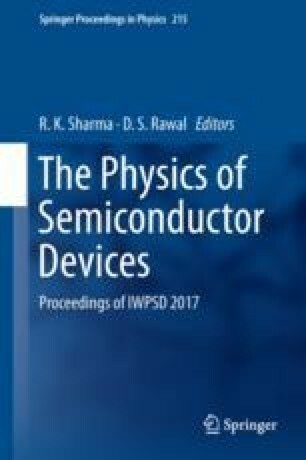 The authors would like to thank the Director of the Solid State Physics Laboratory (SSPL) for giving permission to publish this work.